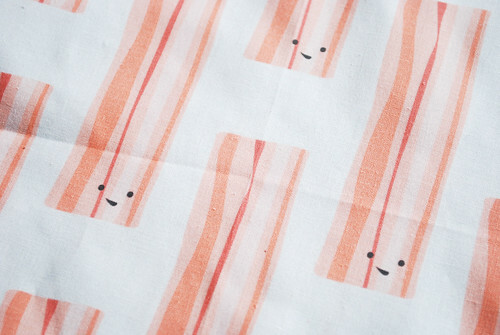 Before you do anything, please, please, please go and vote for my "Bacon Makes Everything Better" fabric on Spoonflower. There are so many wonderful choices, and I really don't think that I have even a sporting chance, but I'll beg for votes anyway. 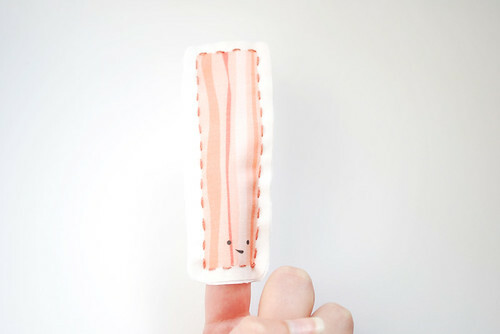 Now, to share something fun that you can use your bacon fabric for. 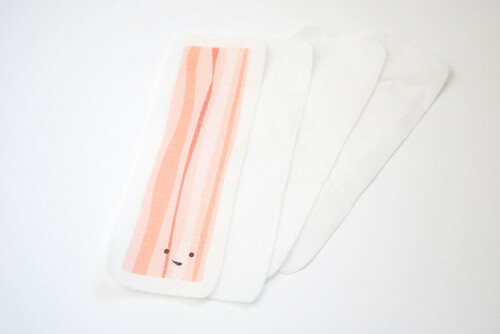 You only need a swatch of it to make a couple of these, so it's not even a huge investment (in the event that you don't know what you would use a yard of bacon fabric for...). 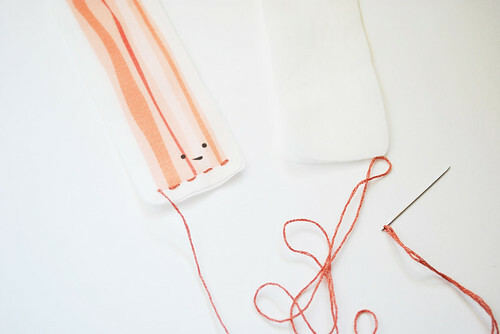 But whether you need a little or a lot, you can purchase the fabric here. Cut out a strip of bacon, leaving about 1/4" around it. 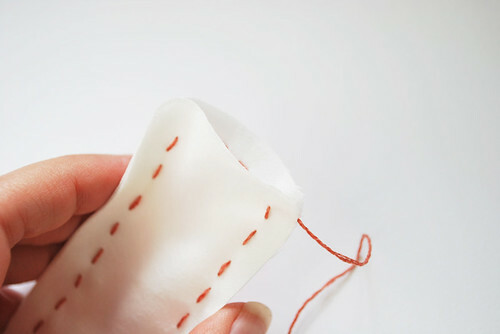 You'll also need to cut three more pieces that match this, but they can be from plain old white cotton. 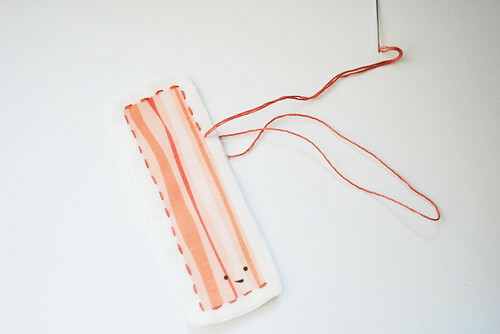 Stack the bacon and one plain piece, then stitch along the bottom. Keep your thread going, then add the other two pieces behind. 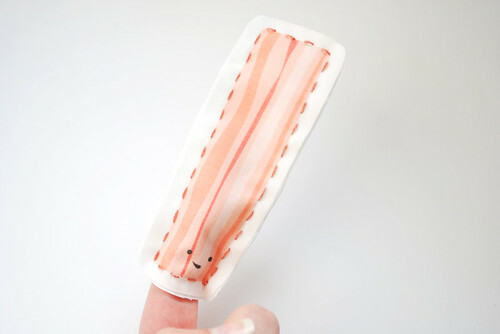 Continue stitching all around the bacon until you get to the bottom again. Sew the bottom of the two back pieces together, but of course, not to the front. Now, don't forget to vote! I recognized it right away yesterday as being yours, it is cute and quirky and has a great chance of winning. I voted for it along with about 8 others, so many choices this time. Some things were cute but not what I want in fabric. I´ve already voted for you!!! I voted for yours! So cute. I voted! Love the bacon bacon bacon. Voted! And oh my how I love bacon! Yours is the best!